The main objective of this project is the implementation of the web portal CHIL at a transnational level, thus creating the conditions for management, dissemination and collaboration allowing its development. The final objective is to establish a virtual collaboration network between research centers, industries and producers of the agriculture and agrofood sectors in the SUDOE area. Agropolis International participates together with the regional federation of agricultural cooperation (Fédération régionale de la Coopération Agricole - FRCA-LR) to the European project RED-ITAA (European Network of Innovation and Technology in the Agricultural and Food Sectors ). This project lasts 24 months and is coordinated by the Technical University of Madrid. It is funded by the Interreg SUDOE program (cooperation between Southwest European countries); it gathers Spanish, French and Portuguese partners around a transnational portal of knowledge on: agriculture -rural development and agrofood. Knowledge management is one of the major structural issues of the whole agricultural and agro-food sectors. Knowledge chains are faulty due to difficulties in identifying needs, knowledge sources and in exchanging and concentrating information. 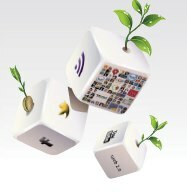 The new opportunities offered by internet, its development in the agricultural sector, allow considering a new scenario. From this viewpoint, the Ministry of the Environment and Rural and Marine Affairs has implemented a rural and halieutic knowledge platform, and has supported the development of the CHIL portal to manage knowledge in this sector. The main objective of this project is to introduce the CHIL knowledge portal in other countries, thus creating management, dissemination and cooperation conditions allowing its development. The final objective is to set up a virtual cooperation network between research centers, industries and producers from the agricultural and agrofood sectors in the SUDOE area. An operational knowledge portal in the three languages, including specific operational sub-portals for agrofood industry, managed by competent professionals in each country and open to the whole sector in the three countries. A consortium of entities and professionals involved in the system development at a large scale and its use in structural improvement projects in the fields of agriculture and rural development. The hosting of project’s partners websites, their members and their associated partners and entities. Interactive development initiatives linking research centers and users, by using the platform as a coordination tool such as Living Labs. Project technical, administrative and economical management. Setting up of the three agro-industry portals in Spain, France and Portugal. Feeding of the portal by adding new users, hosting companies, laboratories and cooperatives. Search of added value by proposing pilot demos of its cutting-edge features, to allow their broad expansion.